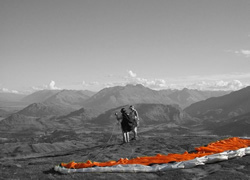 Extreme Air Queenstown paragliding and hang gliding school is based in Queenstown, New Zealand. We also operate on the Gold Coast of Australia over the winter months. Learn how to fly in Queenstown with one of New Zealand’s most experienced female instructors and her experienced team. 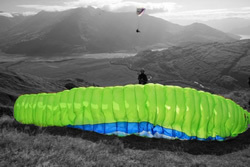 We provide lessons & courses in Queenstown, from intro day courses right through to full pilot licence courses and more. We operate out of the Flight Park landing zone at the bottom of Coronet Peak ski field in Queenstown. We at Extreme Air pride ourselves on the quality of instruction and our high safety standards. You will not find a school more passionate about flying and passing on their knowledge and skills. Extreme Air has been operating for over 16 years and is the longest operating school in Queenstown. We have introduced thousands of people to the simple pleasures of Paragliding and Hang gliding. Being able to offer both practical and theory lessons in a relaxed and friendly environment, ensures that all course participants achieve their own individual goals. Extreme Air employs only the best experienced instructors in the country. Our staff will ensure you have an enjoyable and exciting introduction to Hang gliding and Paragliding. Our goal is to provide a safe, enjoyable experience for everyone. People of all ages and sizes can enjoy the thrill of flying like a bird in Queenstown, New Zealand. Our courses go far beyond the minimum requirements - When you are signed off with a license from Extreme Air you can be sure you have the skill level needed needed to fly safely and enjoy the wonders that the sky provides. I have always wanted to do that! This is a very often heard comment. You have taken the first step, now is the time for you to change your life. Spread your wings and discover man's long lost dream. Our team would love to share their passion for free flight with you. Enjoy a fun relaxed atmosphere with experienced instructors who will pass on their knowledge at a personal level. Extreme Air Paragliding offer a full range of courses from beginner to advanced, introductory days, PG1 & PG2 - the full pilot rating course, refesher course and tours on demand. The rating that you receive is recognized worldwide and endorsed by the New Zealand Hang Gliding and Paragliding Association. Overseas Pilots will achieve an Internationally recognized IPPI (International Pilots Proficiency Index) rating along with their PG2. Paragliding is easy to learn - we are running courses continually, from start of Nov to end of March. You can start at anytime. On the first day you will have the experience of flying solo, starting with small glides and quickly building up to higher flights. Hang Gliding is the way to go for those who are ready to change their lives. For many people, hang gliding is not just a sport, but a way of life. Once you become a pilot you will never again go anywhere without considering the potential flying. Extreme hang gliding offer certified instructional courses with an enthusiastic and a professional approach to hang gliding. Try our two days course, or complete a full 10 day course and receive your novice hang gliding certificate. 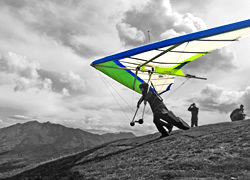 The course will commence with your first days on flat ground or on small training hills, where you will learn basic techniques used to control the hang glider. We will cover important thoery associated with flying a hang glider and gain a basic understanding of the weather. Your training will progress from repetition on the training hills, to ground skimming solo glides, followed by higher flights under the close supervision of your instructor with the use of UHF radios. Please understand that each student will learn at their own individual pace and hang gliding is a weather dependent sport, so completion times of your course may vary. Please email us for the student detail forms and the info pack. *We run course on demand 7 days a week, November to 30th March. Meeting point : Flight Park Cafe. Extreme Air Address: 793 Malaghans Rd, Queenstown 9371, New Zealand.